Full Peruvian, 3/4 Accoyo, white with a fawn saddle. Baron Son and Ramilo Grandson. 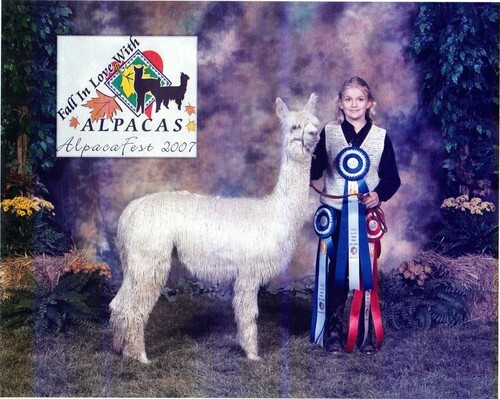 Moses was completely undefeated in the showring just like his full sister Young Accoyo Martha. 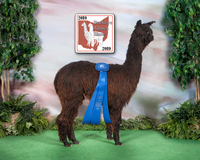 5 Time Color Champion .His daughter Chico Bonita was the white Color Champion at the National Fleece Show, the hardest class of all to win.